With its long and well-documented history, Prince Edward Island makes a compelling case study for thousands of years of human interaction with a specific ecosystem. The pastoral landscapes, red sandstone cliffs, and small fishing villages of Canada's "garden province" are appealing because they appear timeless, but they are as culturally constructed as they are shaped by the ebb and flow of the tides. Bringing together experts from a multitude of disciplines, the essays in Time and a Place explore the island's marine and terrestrial environment from its prehistory to its recent past. Beginning with PEI's history as a blank slate - a land scraped by ice and then surrounded by rising seas - this mosaic of essays documents the arrival of flora, fauna, and humans, and the different ways these inhabitants have lived in this place over time. The collection offers policy insights for the province while also informing broader questions about the value of islands and other geographically bounded spaces for the study of environmental history and the crafting of global sustainability. 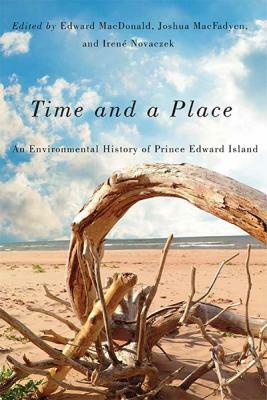 Putting PEI at the forefront of Canadian environmental history, Time and a Place is a remarkable work that illuminates the numerous forces that shape and change ecosystems.